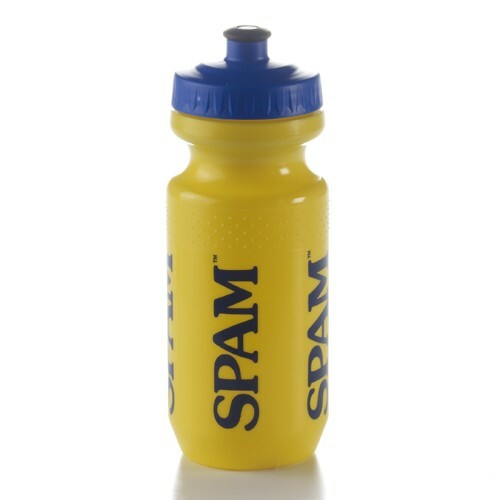 Yellow water bottle with blue SPAM® Brand repeated on all sides. Perfect for all sports and even fits in the holder of your bike. Holds 25 ounces.